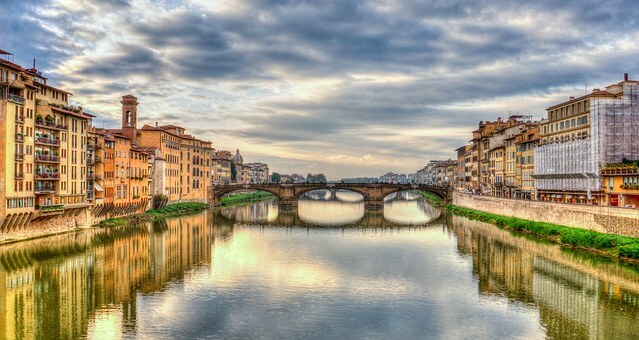 With all of the many paintings, books, movies, songs, and more that have been based on the country of Italy through the generations, it should not be surprising that it remains one of the most popular tourist destinations in the world. If you have the great fortune to have scheduled a tour of this country rich in history and tradition, you will want to prepare for the trip of a lifetime. In order to get yourself in the mood, and to provide some practical suggestions to make the most of your time in this part of the Europe, consider the following ideas as you get ready for Italy trips. While America and much of the Western world is increasingly going to plastic for everyday purchases, this trend has evidently not made its way to Italy. In fact, you will notice that many Italians still use cash to pay for most of their items, from the morning cup of coffee to lunch and dinners along with everyday purchases. If you have grown use to paying for everything using your debit or credit card, you will be in for a surprise in Italy. Bring along more than enough cash and change it into the proper currency when you arrive. This will make your stay more enjoyable and comfortable, as you will not be left scrambling around for money to pay for that souvenir you see on the side of the street. One of the great things about Italy is the world class cuisine that they serve up for locals and visitors alike. This is probably one of the factors about your trip that already has you excited. If you are looking for the tremendous ambiance that goes with dining in a crowded Italian cafe, however, you will want to get ready to change your dining habits. In fact, it is not uncommon to go into a famous Italian restaurant for dinner only to find it nearly empty. Do not make the mistake of thinking that this means the place is not worthy of your patronage. On the contrary, you are probably there just way too early. Italians like to dine late. You will notice that many of the good restaurants do not even begin to get busy until 9pm, with some still doing a roaring trade at 11pm for dinner alone. If you are in the major cities of Milan and Rome, the restaurants will certainly be open for business earlier than that, but mainly to accommodate the different dining habits of the tourists. If you want to experience Italian life with the locals, however, you will want to shift things up just a bit. You are, after all, on vacation! A trip to Italy brings the opportunity to see things you have only dreamed of witnessing up close and personal. The Roman Coliseum can be right in front of you, as can the famed canals of Venice. Who knows if you will ever make it back to this area of the world again in your lifetime, so you need to plan ahead in order to capture these moments for the rest of your life. This means having enough room on your camera or video camera to freely shoot pictures at will. Nothing can be more frustrating than setting up for that perfect shot that is going to look great on your mantle only to discover that you are out of memory. Many smartphones today do the trick. The cameras on these small devices have gotten remarkably good, making them ideal for the modern day tourist. They do have a limited storage capacity. Before you head out for your journey consider transferring your pictures to a computer or other device just to ensure that you have enough space freed up for the trip. This will help you create those priceless memories you have been looking for. Whatever you do, prepare to relax. Italy is a trip of a lifetime and you and your family are going to love what you encounter along the way. Plan ahead and prepare to enjoy the journey. This entry was posted in Holidays and tagged Italy, tour, Travel.